RUSH: We start in Summit, New Jersey. Jeff, great to have you, sir. How you doing? CALLER: I’m doing fine, Rush. How are you doing? RUSH: Good. Good, good, good. CALLER: Listen. I want to get right to my point. Since we now know through this memo that’s been released by Nunes that the judge was not complicit in this and that he was directly lied to, this warrant really was obtained based on fraud. And it goes directly to corrupting the impartial nature of the court and the function of the court itself. If this judge believes in the rule of law, he himself can recall this warrant because it was procured based on fraud. RUSH: Are you a lawyer? CALLER: I am, yes. Thank you. RUSH: You are. Well, that’s fine. That’s quite a claim that the judge can withdraw the warrant or recall it. And since I don’t know that with enough certitude to say it, I needed to find out if you do. We don’t know what the political proclivities of the judge may be. Are you actually expecting the judge to do that? RUSH: If we ever find out who the judge is. I mean, these people are not known. That’s part of the deal, to protect them, ’cause they’re authorizing spying on terrorists, ostensibly. 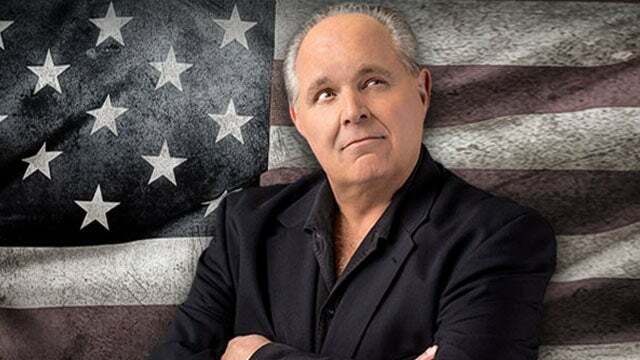 RUSH: The Democrats, I’m starting to pick up on some more of their reaction here. So the Democrats are saying — and I need to preface this by opining that I think their reactions here are pretty weak, pretty pathetic, given that some of them had to know what was coming. They’ve read the memo. They’ve all read the memo. They knew who was coming here. 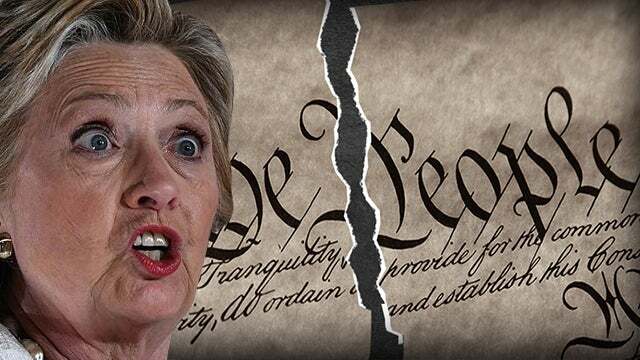 We are in a constitutional crisis here! We are smack-dab in the middle of one! Firing the bank robber after you catch the guy is not a crisis. I don’t know what Trump’s gonna do, don’t misunderstand. That’s not the point. I’m strictly dealing with the Democrats and what they’re out there saying. “There will be a constitutional crisis if Trump fires Rosenstein and Mueller.” So? We are in the constitutional crisis now, and we have been prior to Trump being elected, but certainly afterwards. The next thing. Remember, before the memo came out the Democrats and the media tried any number of things to prevent the memo from being declassified and released. And one of them was, “You can’t do this. You can’t reveal sources and methods. That would be outrageous. That would be giving away the way we do intel.” Well, there isn’t any intel here! There is no intelligence here. There is a made-up political document, made to look like intelligence, bought and paid for by the Hillary Clinton campaign, Fusion GPS. People say, “Rush, I haven’t heard why — who is Steele, why Steele?” Steele was a very close confidant of Glenn Simpson, who owns and operates Fusion GPS. Simpson’s a former Wall Street Journal reporter, i.e., a journalist. That means likely one of only two things in terms of political orientation. But Steele was a former MI6 agent that Fusion GPS Glenn Simpson knew. Now we know that Bruce Ohr had told everybody at the DOJ that this Steele guy, he does not like Trump, he has an ingrained bias against Trump, and he has a passionate belief Trump should never be president. Is it any wonder that this would be a guy found to write an opposition research document made to look like intel? He’s got the perfect resume. He worked at MI6. That’s the Brit CIA. And it was Steele that was talking to Russians. Where did the golden showers story come from? It came from Russians. And just to reiterate, the golden showers story is that Donald Trump and Melania were over in Moscow, and they were staying in the same hotel that Barack Hussein O and Michelle (My Belle) stayed in. And when they found that out, so according to the dossier, Trump called a bunch of prostitutes and had them come over and urinate on the bed. I.E., the golden showers. That’s in the dossier! Glenn Simpson hires Steele, Steele gets that story and many other allegations from Russian agents. It’s the Democrats talking to the Russians. The Hillary Clinton campaign and that law firm and I forget the name of it, Fusion GPS. But as far as sources and methods, there aren’t any revealed in this memo. You know, the FBI and the DOJ — and I guarantee you, they knew what the memo is, 539 members of Congress were permitted to read it. We don’t know how many did. It’s four pages. You don’t really need to take notes. I mean, I can pretty much tell you from my memory what we have learned today in this memo. There weren’t any sources and methods compromised. But there wasn’t any intel. There wouldn’t be any sources and methods to be compromised, if we’re talking about the truth here. But this is not an intelligence document. There’s no verification, it’s not true! There were no sources and methods ’cause there’s no intel. The names were not redacted. The names have been tarnished. And there’s gonna be more. Folks, you realize all this happens during the Obama administration. We are talking here about the Obama DOJ. We are talking about the Obama FBI. We’re talking about the Obama office of national intelligence, James Clapper. We’re talking about the Obama CIA, which is John Brennan. We’re talking about the Obama FBI, which is James Comey. We’re talking about the Obama DOJ, which is Loretta Lynch, when she wasn’t on the tarmac on a jet with Bill Clinton. 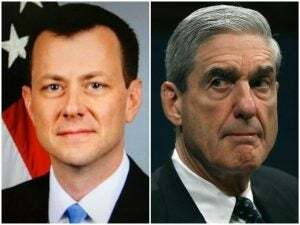 We’re talking about Peter Strzok and the woman with whom he was having an affair and sharing text messages. The latest is they were sending text messages to each other about how to hide them. That’s the latest as of today. Before today, we learn that they were preparing an insurance policy in case Trump won. They were in the office of Andrew McCabe. And Lisa Page was telling everybody there’s no way Trump wins, there’s no way, it can’t happen. And Strzok said, “I’m not so sure. We need an insurance policy.” And the insurance policy turns out to be the dossier and this entire alleged reason to investigate Trump. This is everything that we thought it was, but the memo contains information and makes it even more powerful, not less. Back to the phones we go. Scott in Ashville, Illinois. I’m glad that you waited, and I’m happy to have you here. How are you doing? CALLER: Very good. Distinct honor of a lifetime. I will contribute money when America wakes up and realizes that we have to have your likeness on Mount Rushmore. RUSH: Well — ha-ha. I’ll be commissioner of the NFL before that happens. CALLER: I wanted to tell you that I think that what you’ve said this morning about this dossier goes to the whole investigation, the credibility of Fusion GPS. They say that 17 security agencies all agreed that the Russians hacked the DNC. But we find that 13 or 14 of those agencies actually just took the FBI’s word. RUSH: One moment. “Not entirely,” as Robert Novak used to say. You’re confusing — in some elements of the story — Fusion GPS with an outfit called CrowdStrike. CrowdStrike is who the DNC hired to forensically analyze their servers after the claim that the Russians hacked ’em. Comey and the FBI were denied permission to forensically examine the hacked DNC servers. Instead, CrowdStrike — which is also an outfit established by liberal Democrats. CrowdStrike instead did the analysis that then Comey and the FBI were told about. So you have CrowdStrike, which was involved in the early days of the so-called Russian hack of the DNC. There’s also some misinformation about that. 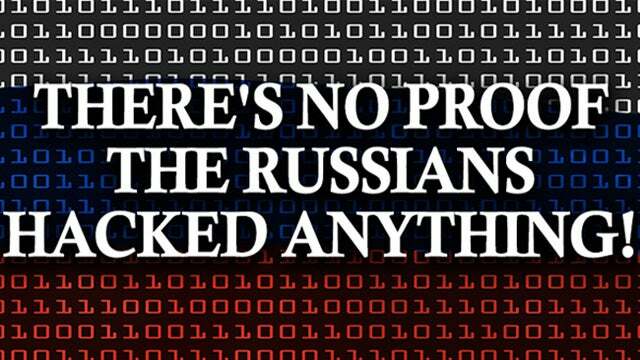 That original Russian hack is said to be the reason we ended up seeing all those emails from John Podesta. That’s not true. That’s something separate again. John Podesta made the mistake of clicking on a bad link in a phishing email. P-H-I-S-H-I-N-G. In fact, folks, let me give you a heads-up. There is a very dangerous phishing spam email attack going on made to look like it’s from Netflix, and it’s about your account information has been lost and you need to reactivate or some such. It looks like it’s from Netflix. It’s got the logo; it’s got the colors. And everybody’s scared to death of losing access to Netflix. Do not click on anything that you have never seen before from Netflix. In fact, if you get an email from Netflix telling you that your account’s in trouble and you need to react, don’t do it! It’s big out there. Well, this is what Podesta did. I don’t know what the email was, but he clicked on one of those phony links, which gave the hacker access to his computer! And that’s how we learned his emails. CrowdStrike was the bunch that forensically analyzed the DNC computers and told us that the Russians hacked ’em. Now, the reason the Democrats didn’t want the FBI forensically examining their server is ’cause they didn’t want anybody to see the evidence that Hillary Clinton had rigged the Democrat primaries against Crazy Bernie. You know, if you chart all of this as a wheel with spokes from the center going out to all these different players, the picture in the middle of that wheel where all of those spokes originate is Hillary Rodham Clinton. That’s where all this originates. This election was hers. She was promised. It was guaranteed. She was entitled, especially after the fiasco of 2008 where Obama came out of the shadows and shellacked her. She thought the Democrats owed it to her. So they ran a sham primary making it look like Crazy Bernie had a chance, when he never did. And then when she lost, it was time to activate this dossier thing. Actually, the dossier was actually commissioned before the election. But there is no intelligence here. There are no sources and methods. This is the constitutional crisis that we are smack-dab in the middle of. RUSH: Richard in Coeur d’Alene, Idaho. Welcome. Great to have you here. There’s a great, great golf course community in Coeur d’Alene. I’ve been out there. Gozzer Ranch. It’s one of the most beautiful places you could go in Idaho. How are you doing, Richard? RUSH: Fine and dandy! Great to hear from you. CALLER: (garbled cell) Hey, I just gotta tell you, you’re the only daily health supplement I take. Since I started listening to you, I have not been sick. This memo shows us exactly who the Democrats are. The American people voted. They made their choice for president known. Hillary and the Democrats tried to steal it from us. RUSH: They still are. That’s exactly right. That’s why some people have referred to this as a silent coup. Others have had, you know, other terms for it. But there’s no question that the establishment has been trying to overturn a duly elected election by claiming that it was rigged, by claiming that it was the result of cheating by virtue of Trump conspiring with Vlad Putin. 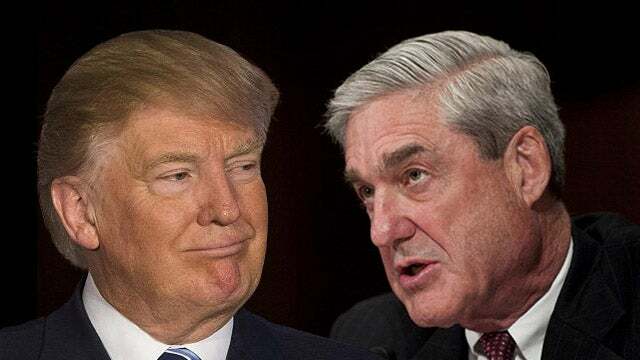 And the more we know, the more we see, if there was any conspiring with Russians (chuckling) it was the Hillary campaign and the Obama the Department of Justice. One of my favorite observations about all this has come from Mark Steyn. He said we’ve got everything in this story except Russians. There aren’t any Russians in the Trump-Russia collusion story! Where are the Russians? The only Russian is that overweight guy Kislyak, the ambassador, and the only thing known about this guy is he has lunch every day with people. Aside from him, where are the Russians in this? (laughing) Well, we know where they are. They were talking to Christopher Steele. But no, you’re absolutely right out there, Richard. It’s clearly an attempt to nullify a duly constituted presidential election because the Democrat Party was dissatisfied, shocked, stunned with disbelief at the outcome.